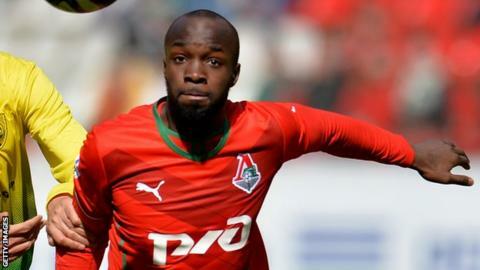 QPR's attempt to sign midfielder Lassana Diarra from Russian club Lokomotiv Moscow has fallen through. The Loftus Road club's manager Harry Redknapp said on Saturday that the 29-year-old had signed. But there has been a late hitch, with an issue between Diarra and Lokomotiv apparently scuppering the transfer. QPR will not be pursuing the move any further but are interested in signing midfielder Sandro from Redknapp's former club Tottenham. Any deal for the Brazilian will have to be done before the 23:00 BST cut off on transfer deadline day. The Diarra deal had appeared a formality on Saturday when Redknapp said: "Lassana Diarra has signed and I'm delighted to have him. "I had him at Portsmouth and he is a terrific player." Joined Chelsea in July 2005 but made just 13 appearances. Portsmouth paid £5.5m to take him in 2008 and he scored his only Premier League goal during his year at Pompey. Moved to Arsenal in 2007 and made four starts for the Gunners. Was sold to Real Madrid in 2009 for £20m. The club, however, had not confirmed the deal. Diarra, who has won 28 caps for France, was signed by Chelsea for £1m in 2005. He moved to Arsenal in 2007 but after only five months joined Redknapp at Portsmouth for a fee of £5.5m in 2008. He later moved to Real Madrid and has also played for Russian side Anzhi Makhachkala.